Do you prefer chewy granola bars to crunchy ones? These homemade chewy granola bar recipes are sure to satisy! We have collected our favorite recipes for granola bars so you have more to choose from. Granola bars with apricots and almonds, bars for the coconut fan and a sweet and salty granola bar recipe with mini-marshmallows, apricots and sunflower seeds. We love making homemade granola bars - once you try homemade you'll never want another store-bought bar, we promise! Filled with apricots and almonds, these chewy apricot almond granola bars are both healthy and delicious. Did you know that apricots are a great source of A and B vitamins and niacin and almonds are rich in protein and potassium? When you add these nutritional powerhouses to the other wholesome ingredients contained in this healthy chewy granola bars recipe you get a wholesome treat perfect for any time of day. 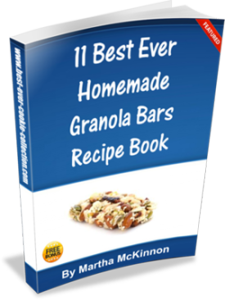 Take these tasty homemade granola bars along so you have a healthy alternative to junk food temptations when you are out and about on a busy day. Preheat your oven to 350F degrees. Line an 8-inch square baking pan with foil that extends over the edges by at least 1 inch. This will create handles for lifting the slab of granola bars out of the pan once they have baked and cooled, allowing you to cut them more evenly and making cleanup a breeze. Place the oats and sunflower seeds on a baking sheet and toast in the preheated oven for 5 to 7 minutes. In a large saucepan, over low heat, combine the egg, honey or molasses, and peanut butter. Heat, stirring with a wooden spoon the mixture is well combined and then remove pan from the heat. Stir in the oats, sunflower seeds, wheat germ, milk powder, cinnamon, apricots and raisins or dried cranberries (if using). Mix until well combined. Scrape the mixture into the prepared pan. Gently press evenly into the pan. Sprinkle the toasted almonds over the mixture and gently press them down. Cut into desired size and shape bars. Homemade granola bars are so much better than their commercial cousins. 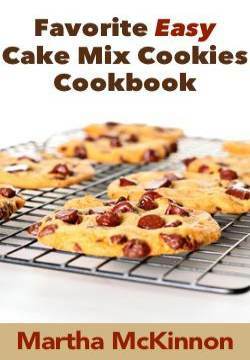 You can make them with the kinds of fruit, and nuts you like best while skipping the less than healthy stuff, like corn syrup, artificial flavors, and preservatives. They stir together in minutes with minimal fuss and are even better a day or two after baking as the flavors have a chance to meld. Preheat oven to 350F degrees. Line a 9-inch baking pan with foil that overhangs the pan on all sides by at least one inch. Lightly grease the foil. Spread the oats, nuts, and coconut on a baking sheet and bake them for about 10 minutes, or until they are lightly toasted, stirring once or twice to insure even cooking. Reduce the oven temperature to 300F degrees. In a large bowl, combine the wheat germ and oat/nut with a wooden spoon until blended. Place the butter, honey, brown sugar, vanilla, and salt in a small saucepan and bring to a boil over medium heat. Stir while continuing to cook for one more minute and then pour the mixture over the oatmeal mixture. Add the dried fruit and stir well to combine. Pour the mixture into the prepared baking pan. Lightly press the mixture evenly into the pan with wet fingers. Bake the bars until they are light golden brown, about 25 to 30 minutes. Lift the slab of granola bars from the pan using the overhanging foil as handles and place on a cutting board. Cut into desired size squares/bars. These Chewy Granola Bars will keep at room temperature in an airtight container for up to 5 days. Yield: Makes one 9-inch pan of Chewy Crunchy Coconut Granola Bars. If you love to always have granola bars on hand - for snacks, lunch bags, and eating on the run, you will love this chewy granola bars recipe for its ease and flexibility. The six ingredients in these chewy granola bar recipes stir together in minutes and can be changed in a multitude of ways. Try substituting another dried fruit like raisins, dried cranberries, or chopped dried apples and pears for the apricots and then consider replacing the sunflower seeds with pumpkin seeds or the chopped nuts of your choice to make your favorite homemade no bake granola bars. Some of the combinations we favor include cranberry pistachio, and chopped tropical fruit and macadamia nuts. Line a 9x13-inch baking pan with foil that extends over the sides of the pan to make removal easy and lightly coat the foil with cooking spray. In a large sauce pan melt the butter over medium heat. Add the marshmallows and stir until melted and combined with the butter. Stir in the granola, cereal, apricots, and sunflower seeds until well combined. Dump mixture into the prepared pan and press into the pan with the back of a spatula coated with cooking spray, a large square of wax paper, or our favorite tool- clean, slightly wet hands. Use the foil to lift the granola bars from the baking pan. Stored in an airtight container between layers of wax paper. 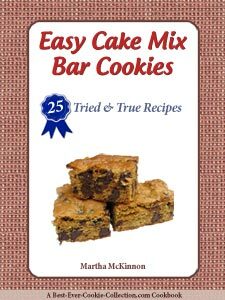 These great homemade chewy granola bar recipes were adapted from the delightful cookbook No-bake Cookies: More Than 150 Fun, Easy & Delicious Recipes for Cookies, Bars, And Other Cool Treats Made Without Baking by Camilla V. Saulsbury.